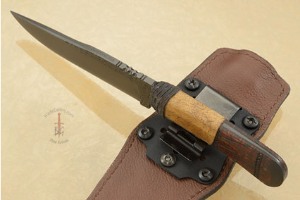 The WKII Traditions Field Knife was developed for those wanting a somewhat longer knife. 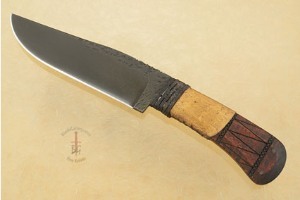 The blade is formed from high performing 80CRV2 carbon steel. The flats are forge textured. The 3/16" thick blade provides a resilient, long lasting edge. The spine is fileworked for a secure thumb purchase and fine control while choking up. 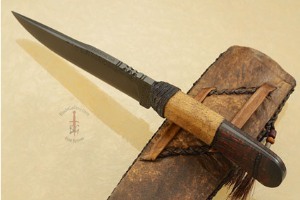 The knife is accompanied by two sheaths. One is the WKII ambidextrous, MOLLE compatible leather covered Kydex sheath that comes with Daniel's standard WKII models. 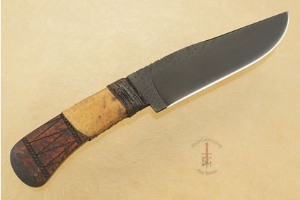 The other is a premium rawhide covered belt sheath. Tin cones, glass beads and horsehair are used as decoration. 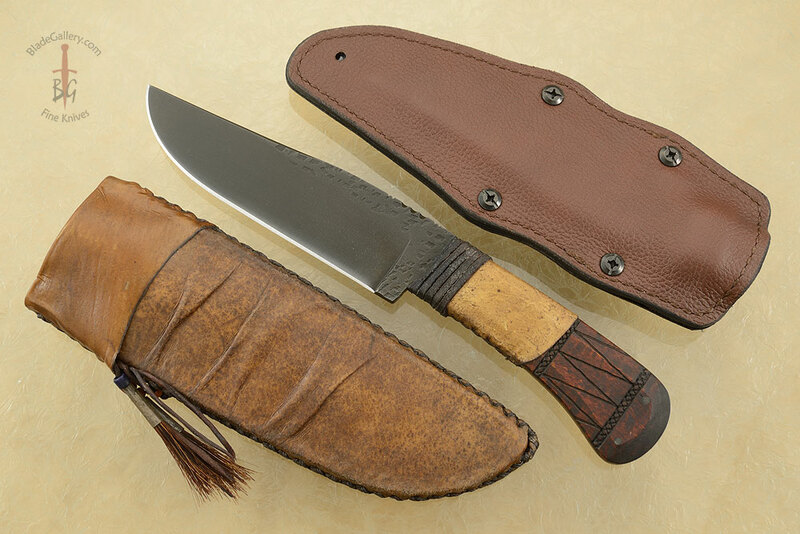 By including both sheaths, Daniel has made it possible to carry this hard use, yet elegant knife without fear of damaging the dramatic, traditional sheath.